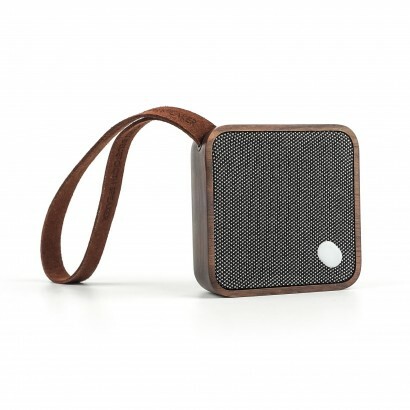 Take your favourite tunes on the move with you with a seriously stylish pocket speaker with Bluetooth connectivity. 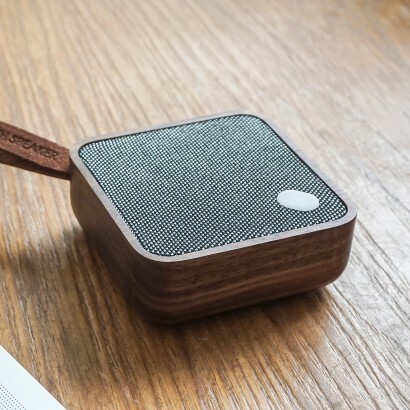 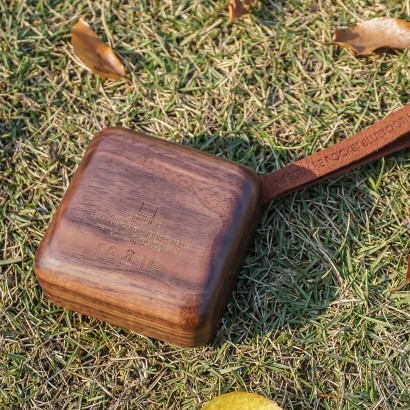 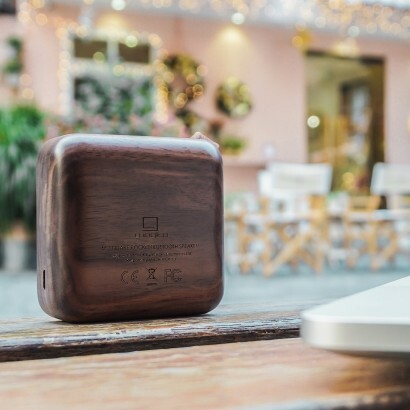 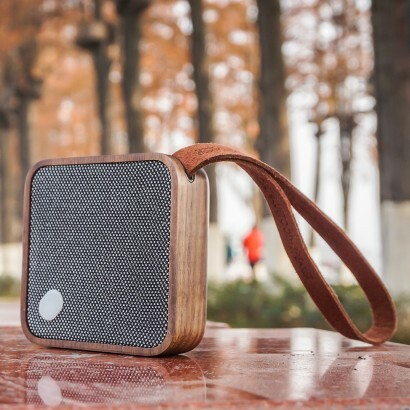 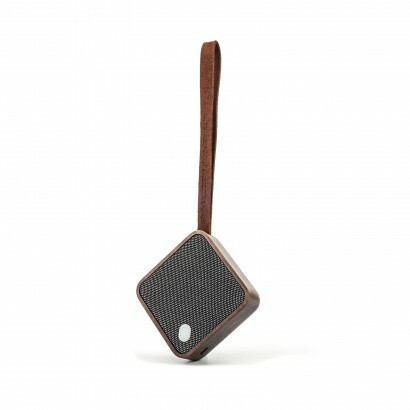 The Gingko MI Square speaker has a sleek walnut finish that adds a touch of class to your sounds and is designed to deliver incredible performance on the go. 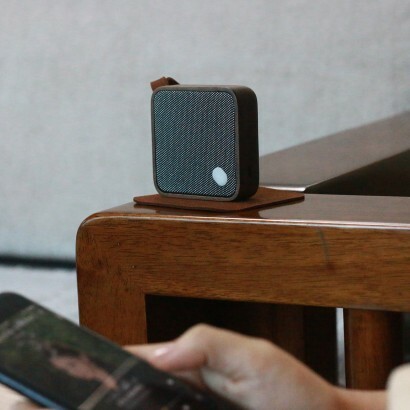 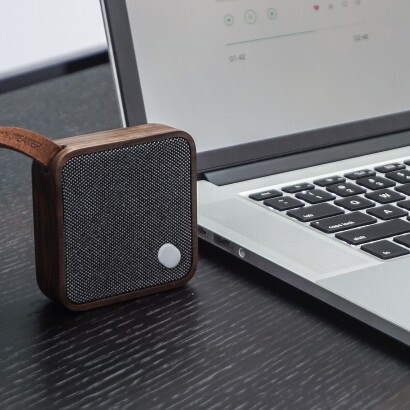 With a rechargeable battery, this hand crafted mini speaker plays for three to six hours per charge depending upon the volume selected making it ideal for travel, or for placing around your home for portable sounds. 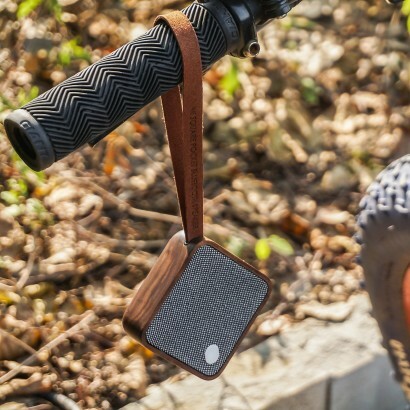 With a practical handle for carrying, attach this eye catching speaker to bags, hang from handles or even wrap around your wrist for incredible sounds wherever you go!